Unpaid bills aren’t just a nuisance—lack of cash flow can bring your business to a halt. Pursuing payment on either commercial or consumer past-due accounts can be a time-consuming, frustrating process. If you’ve done business in NYC and your client fails to pay, we have the answer. Whether your client is located in Manhattan, Brooklyn, Staten Island, or elsewhere, Cedar Financial can help. 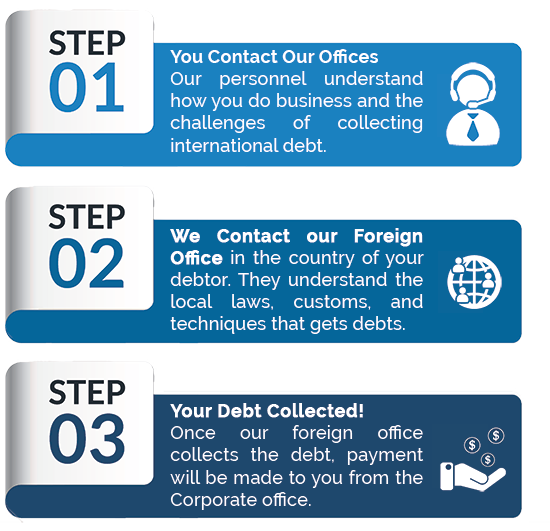 The best way to collect on your unpaid bills is to consult an experienced debt collection agency. Since 1991, Cedar Financial has worked to provide comprehensive, professional debt collection services to clients in industries such as commercial, retail, education, healthcare, and government. Our professional team analyzes each case to determine the most effective course of action to collect payment. When you work with Cedar Financial, you gain access to a powerful network of nationally licensed debt collectors. We operate everywhere your business needs to be, whether that’s in New York City, across the U.S., or around the world. Our in-depth knowledge of debt collection processes and regulations saves you from time-wasting missteps and ensures the best possible results from debt mediation. Our focus on putting people first includes the team we assemble to work for you. Cedar Financial’s highly trained debt collectors and legal counsel work together with diligence, persistence, and understanding to produce the best possible results for you. Contact us today to find out how Cedar Financial can help your business collect debt in New York City.